American Q is located in the modern B Resort in the Downtown Disney resort area in Orlando. It is an upbeat take on classic barbeque. 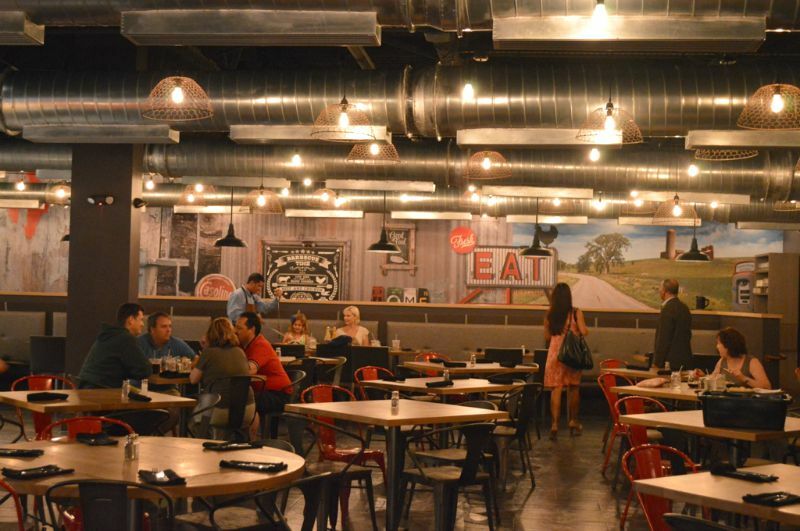 The atmosphere of the restaurant is trendy and industrial. 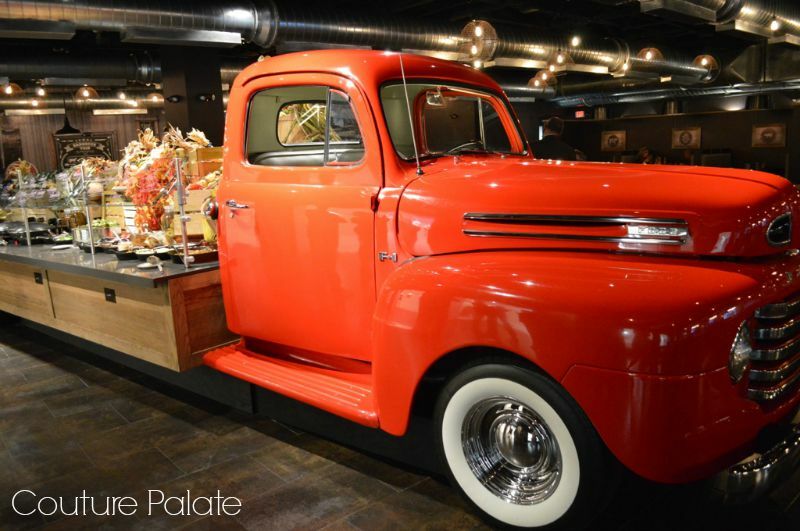 The center piece of the room is the 1951Ford F1 pickup truck that has been transformed into the ultimate all-you-can-eat appetizer and salad bar buffet. Soups, salads, baked potato bar, hot and cold seasonal veggies and peel-and-eat shrimp. The corn on the cob in drawn butter was so yummy! 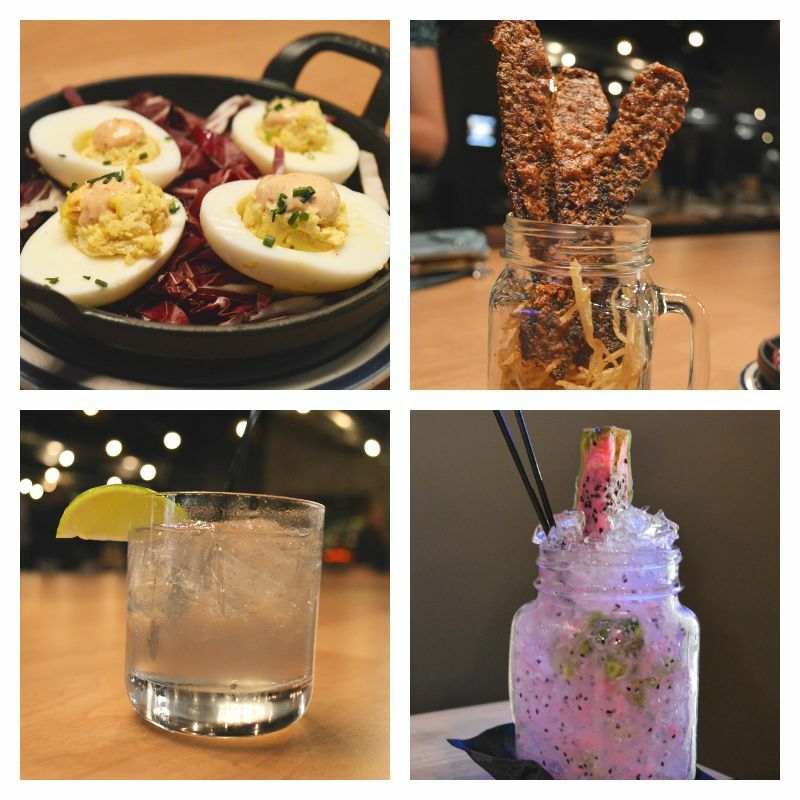 American Q also has a full bar with custom cocktails and craft beers. We enjoyed the Dragonfruit Smash and Margarita Thyme. Both were so refreshing and you can taste the different flavors each drink had to offer. For appetizers we couldn’t say no to the Swine Candy which is smoked bacon roasted with molasses and spice and the Deviled Crab Stuffed Eggs. Both were very unique and didn’t disappoint. The Flatbed Buffet is 34.95 for adults and children under 7 is 10.00 you are served eight different BBQ meats served table side by a cowboy/cowgirl along with family-style sides and cornbread skillets. Just flip your sign around to bring on the BBQ! The whole staff was so friendly and we really enjoyed the presentation of all the food as it was being brought out to the table. My favorite dish was the bacon wrapped chicken thighs. Hmmm bacon! It was a lot of fun loading up on all the different sides on the Flatbed Buffet and the peel-and-eat shrimp were a bonus. If you find this to be too much food they have an a la carte menu and children’s menu are also available. Save room for dessert because the salted caramel vanilla cheesecake is awesome! It was so light and had just the right notes of sweet and savory mixed together to cap off our large meal. 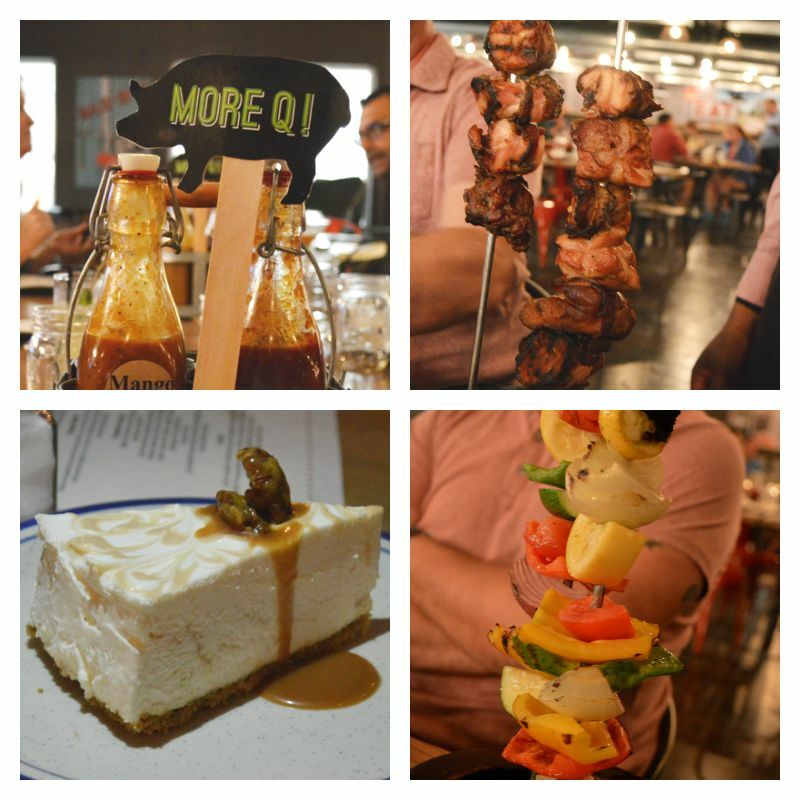 American Q is great place to have a family meal, date night or to meet with some friends for a cocktail and some apps. They are also one of the participating restaurants for the amazing Orlando Taste of the Nation event on August 8th. You can buy your tickets here. 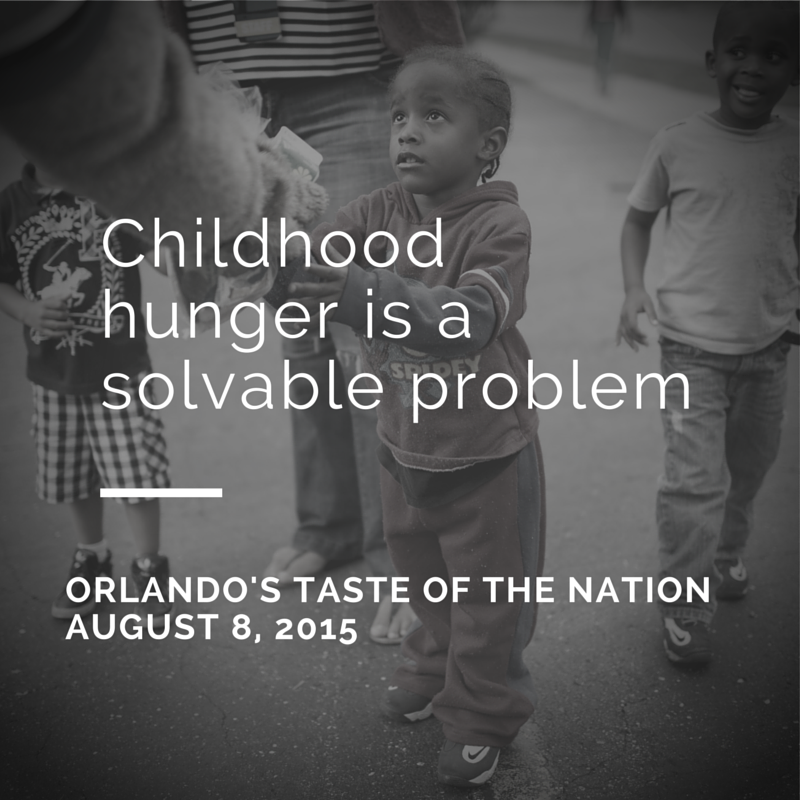 I will be there and I really hope that you will join me for a great cause, ending child hunger in Central Florida. American Q is open daily for breakfast, lunch, and dinner.